Château de Chillon, Canton de Vaud. 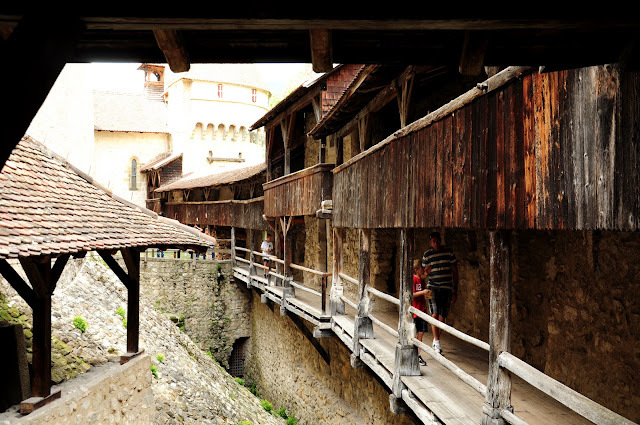 Everytime someone comes to visit us in Switzerland, we go to the castle of Chillon in Montreaux. 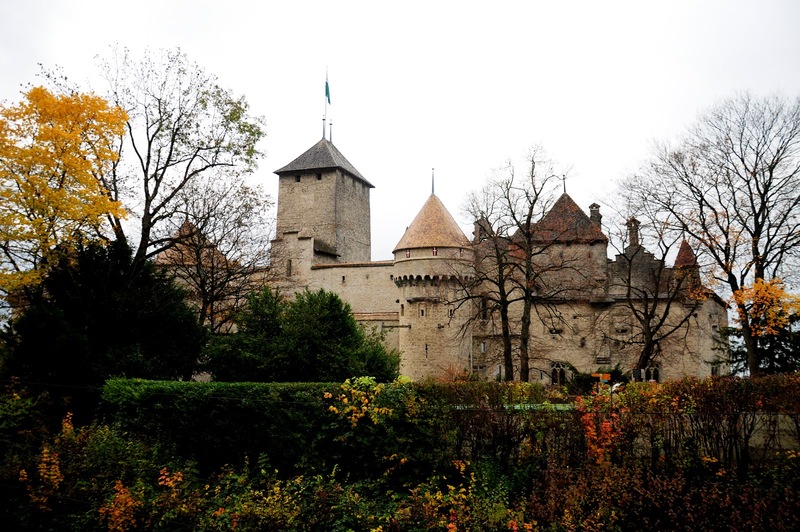 15 minutes from Lausanne by car and we arrive to one of the most famous and amazing castles in Switzerland. 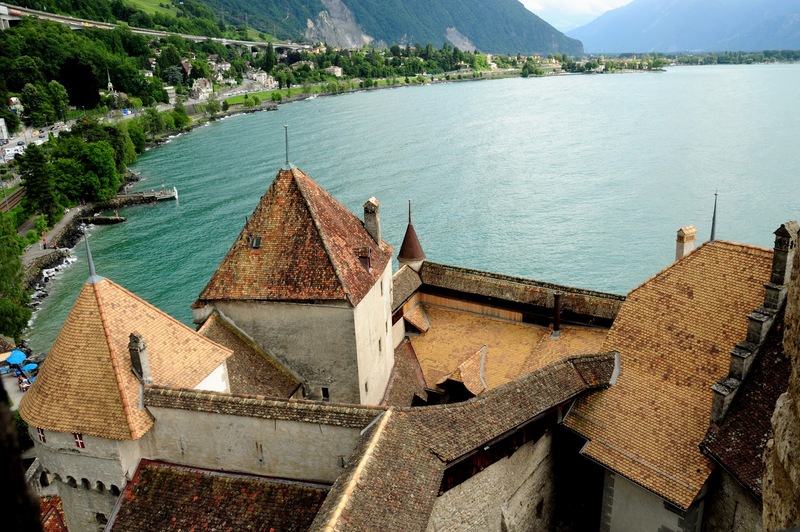 Chillon is listed as "Switzerland's most visited historic monuments". 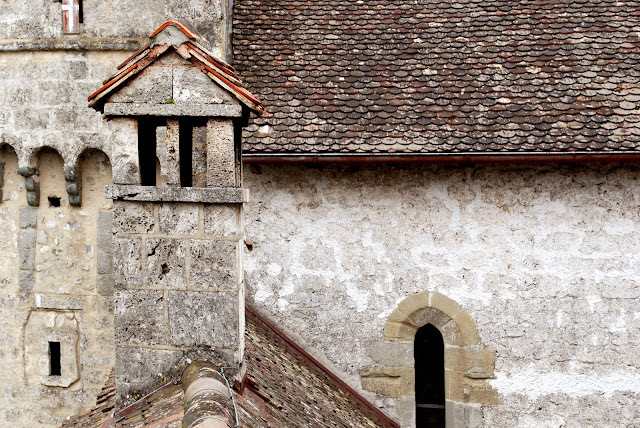 This medieval fortress on the shores of Geneva's lake creates a magic image due to its conservation and mainly because of the view of the Alps and the lake from its courts and windows. Castillo de Chillon, Canton de Vaud. Cada vez que alguien viene a visitarnos a Suiza, vamos al castillo de Chillon, en Montreaux. 15 minutos desde Lausanne en coche y llegamos a uno de los más famosos e impresionantes castillos en Suiza. 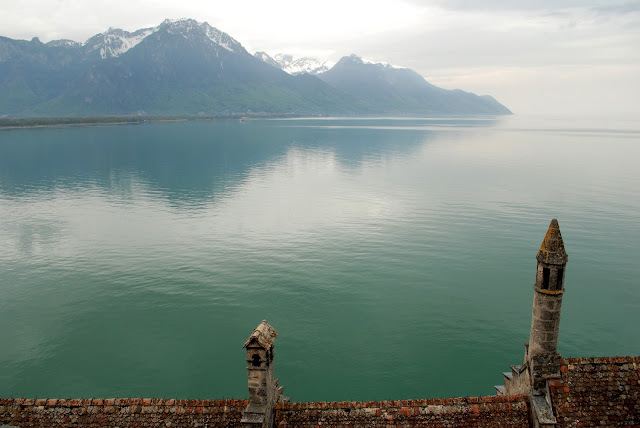 Chillon es el monumento histórico más visitado de Suiza. 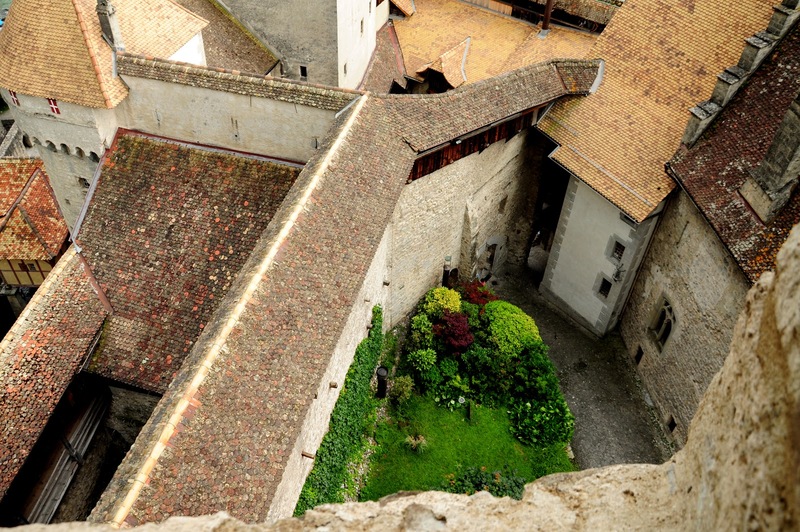 Esta fortaleza medieval anclada en la costa del lago Léman y prácticamente flotando sobre el agua crea una imagen mágica debido a su buena conservación, y sobretodo debido a la increíble vista de los Alpes y el lago desde sus ventanas y patios. The castle was built over a rocky island, throughout the tour you can see interesting models of it, and you'll appreciate the special place where it was located. There are a lot of rooms, all of them with their original paintings or part of them. 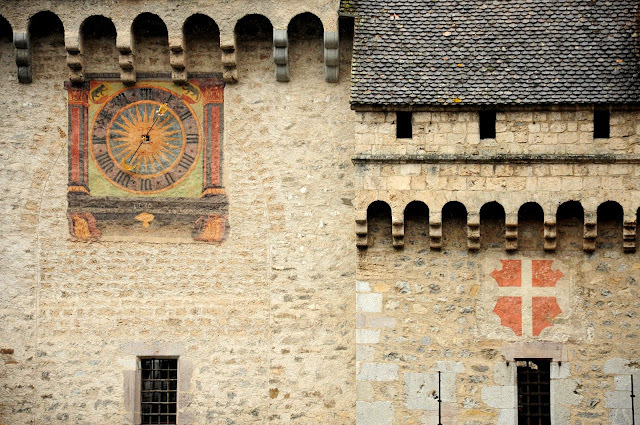 For us, the best time to go is December, beacuse all the weekends of that month, they reproduce the life in the Middle ages in the castle, cooking, doing armors... and you can try original recipies of that period.